How do I store a Cognac bottle? It’s a question that we’re often asked, and is something that many people have varying opinions on. Another often raised question is, how long can you keep an unopened bottle of Cognac? So, in answer to the many requests for information on the subject, here are some considerations to take into account regarding best practice when it comes to storing Cognac. The first thing to understand is that Cognac does not continue to age once bottled. This means that storing a bottle for 10 years (or more) will not make it any older – the contents will remain the same age as they were when they left the barrel. However, this doesn’t mean that it’s not worth buying an exceptional bottle and storing it for as long as you like. As we’ve reported many times, there are a great many people who’re investing in high-end Cognacs, rather than entrusting their money to the coffers of the banks. So, with regards to an unopened and sealed bottle of Cognac, if stored correctly then the contents will remain safe for a good amount of time. What is the best way to store my Cognac bottle? 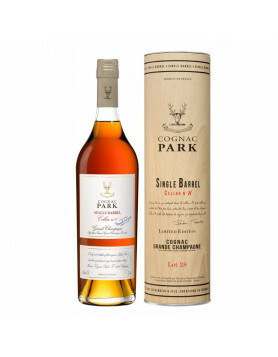 You may well have heard that the bottle must be stored in an upright position so the Cognac doesn’t come into contact with the cork, and this may well be correct. However, cork is not a substance that has an infinite lifespan, and if it’s not in contact with the Cognac at all then it might become dry. Bottles should be kept in the shade and in a cool place with no extremes of temperature – a cellar is ideal. But, a word of advice – if the environment is too humid, the labels might suffer and come off the bottle – obviously not an ideal scenario. This is why a cellar often proves a hospitable place to store Cognac, with the temparature in such a place remaining fairly constant, as well as ensuring that the bottle isn’t exposed to any sunlight. And when it comes to understanding the best temperature at which to keep your Cognac, then the most important thing to consider is that it’s constant. In other words, no extremes of temperature. Indeed, room temperature is quite sufficient. If you open a bottle of Cognac, how long will it keep? Regarding an open bottle, then there’s no official amount of time a Cognac can be stored before the quality will begin to fade. However, once the Cognac comes into contact with the air, it will gradually begin to deteriorate and evaporate. The more air in the bottle, the faster this will happen. Realistically, you can think that it’s okay to store an open bottle of Cognac for around six months before this deterioration becomes noticeable. If you wish, you can decant the contents into a smaller container. This ensures the air to liquid ratio remains as small as possible, helping to slow the deterioration process. But even though an open bottle will deteriorate with age, it’s still fine to drink. It’s just that you might notice a difference in the taste as the months go by. How long can you keep Cognac? Now, this is a very commonly asked question; how many years can you keep a bottle in your cellar? Well, the simple answer is, for a long time – but not too long. Old Cognacs are a fragile product. So there you have it. Our advice on how to store a Cognac bottle. We hope it answers many of the questions of those who’ve taken the time to write in. And naturally, if someone has an opinion. remark, something to add or even to correct, please use the comment section below. It is actually not currently true to say that you can store cognac indefinitely, certainly modern cognacs can be stored in glass for very long periods but a gradual deterioration will occur as a result of the cork gradually breaking down in the cognac vapour. It is normally recommended that the cork should be changed every ten years. We have found that a cork will last double that time providing the bottle is stored correctly. There is also a requirement for the cork to be sealed so that the air cannot pass through the dry cork as it gets older. Most bottles are wax sealed to prevent this happening. There is one further and relatively unusual phenomena which can be a problem with very old cognacs. We have come across a few cases where the spirit can laminate away from the remaining water content and this is usually caused by poor or agressive handling of the bottle. Old cognacs do become fragile and must be handled very carefully. very old cognacs that have broken down are instantly recognisable when tasted, the alcohol level will drop away significantly and will it provide a flavout rather like water that you have washed old leather boots in! “On the other hand, if the cork is not in contact with the cognac at all,“ ? And so much thanks for thoses great answers. 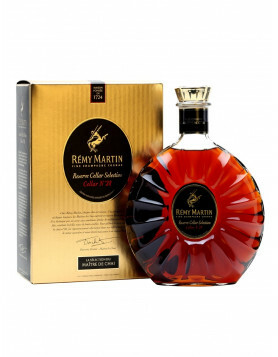 yesterday I bought an extra martin remy excellence already in the store with people that I bought a 7 year deal and when I get home I go to try to taste the sense that when I open the cognac bottle cap his cork moist try weathered like I finally prying with a knife and I do remy martin xo moved him to the bottle which I had Martell cordon bleu because unfortunately if yawn .. anyone ever had experiences like saua? or understand why this happens? Lying flat on a suitable shelf, as what I have “heard”…!? 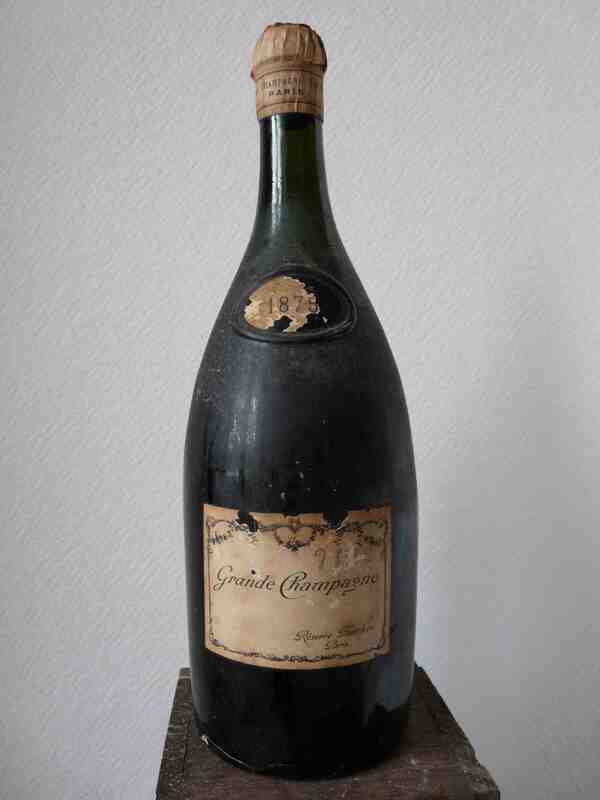 As it happens, I have a bottle of very old cognac, -perhaps 100 years old, at least- any suggestions…? Bottles must be stored upright so that the cognac does not come into contact with the cork. On the other hand, if the cork is not in contact with the cognac at all, the cork may become dry, therefor turn your bottle upside down once/twice every year. Hello everyone, I work for a valuation company in the US that is contracted by insurance companies for claims. I usually handle damages to wine cellars but I was recently given a cellar containing only cognac to assess. I know quite a bit about wine but am rather ignorant when it comes to spirits. The stoppers on the decanters, which are all still sealed, appear to be a little raised, about 2 to 3 milimeters. So it is possible that the heat was enough to expand the liquid and cause this as it will invariably do to wine exposed at such temperatures. Otherwise there no damage to any of the bottles/decanters. a) will this kind of heat affect the Cognac itself? b) how about its value for collectors? Thank you so much for any help you could provide me, or the referral to any literature on the subject. I have perused the entire Los Angeles central library collection of books devoted to wine and spirits, which is quite extensive, but to no avail. Can i argue that the best way to store cognac is to replace the cork with an air tight stopper made with non-degradable materials? I have been a lover of cognac for many years and bought a house in Jarnac. The home of such brands as Hine, Louis Royer, Corvoisier,Dalamain and many more. Our house was once part of AE Dor cognac and the remaining buildings around us still house some of the oldest and finest cognac in the world. I have visited the paradis cave on many occasions and can assure you all the bottles and demijohns are standing upright with wax seals. If you visit their web site http://www.Aedor.fr the first page has a picture of the paradis confirming my observations. Cool, humid dark and upright I would say is the best way to store your cognac. Don’t worry about the length of time you keep it since it’s a drink that has to be in a glass to be fully appreciated. Then and only then try and make it last as long as possible. Once the cognac has left the barrel it’s taste will never change. It is the job of le nez to ensure every XO is blended to taste and smell the same year after year which is why the bottles are undated unlike wine. 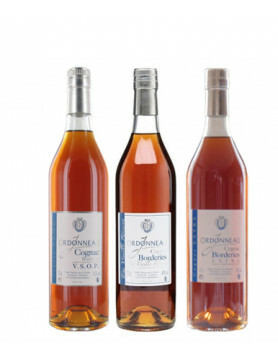 The value of the cognac comes from the rarity of indidual blends it is made from some over 200 years old. These are fast running out hence the never ending search for old demijohns or barrels hidden away in old houses and cellers. You are unlikely to get the opportunity to buy one of these so let some one else worry about it and get on the serious business of drinking in my opinion the King of spirits. Hi, my dad gave me a bottle of 1955 remy martin cognac he was stationedin franceand bought it there. It has evaporated a bit is it safe tp drink???? I have Camus XO cognac bottle with glass lid and cannot open it. Any tricks? I was given a bottle of cognac in 1969. At the time I was told by the Frenchman, who gave it to me, that it came from the year 1935. As there is no date on the label, I am not sure. Can anyone tell me anything about this cognac? Would it not be reasonable, for long-term storage, to just put the bottle in a tight, sealed plastic bag or wrap it in similar film? To do the cork’s job better. Or something along these lines? I’m “trying to invent” a hermetic outside container that would last for ages and make the cork and the bottle’s position irrelevant. Don’t let the brandy touch the cork stopper indefinitely. I lost 1/3 of a bottle of Paradis to this error this year. The bottle is about 7 years old and I am now faced with a replacement bottle costing $700 vs the $279.99 I paid for this one. The brandy is still decent but a far cry from the outstanding one it was just a winter ago. I have still not been informed how to store Courvoisier Erte, can you help? I own two bottle of Landy Brandy which I have kept for 15 years, I noticed the floating particles inside the two, what are this? Are the two bottles of Landy with floating particles safe to drink? I have an opened bottle of supermarket-bought cognac vs that has been in my kitchen cupboard for eight years or so. Should I throw it away? hi Peter here! Have been in the cognac business for + 40 years! Keep your bottles standing dark and not to warm..and turn the bottles just to moist the cork 1-2 times a year…put plastic over the bottletop! You can get a taste of cork failure TCA if it the cork is in contact with the cognac too long…. AND REMEMBER NOTHING ORGANIC IN THIS WORLD IS SAFE FROM OXYGEN…. ( Not even you) FINALLY THE COGNAC WILL TASTE ALMOST NOTHING…ULLAGE!! But if you buy ” brut de fût” your cognac will keep better! AND STOP BUYING THE FIVE BIG BRANDS…YOU KNOW WHO THEY ARE!! Connoisseurs always avoid them, for taste and value! As claimed by the famous cognac houses that once bottled the cognac does not age, I beg to differ on the taste. I am a drinker who gets frustrated with a sudden ‘pungent’ alcohol, which is definitive of VSOP. So I tend to purchase matured XO that has been kept for at least 20 years. I know the master tasters will be far superiors to my tastebuds, but it’s a matter of personal choice. I do not get the burning alcohol and actually I can really taste the various notes of these. Anyone here share what I have experienced?